Happy New Year, fellow documentarians! This is a landing page website for our 2019 conference. Welcome to Write the Docs Prague 2018! Yet another edition of Write the Docs Prague nearly upon us! We’re excited to see you all in just a few days. Write the Docs + Open Help Cincinnati is this weekend! We’re looking forward to seeing everybody Saturday morning. For those arriving early Friday, we’ve put together a list of things to do in Cincinnati near the venue. All of these places are easy to reach on the streetcar. Each year we are blessed with an amazing team of volunteers who help with the variety of on-site operations, and the conference wouldn’t be such a success without them! The conference is now only a few weeks away! We hope you’re getting geared up for an exciting (and our first ever) Write the Docs + Open Help experience in Cincinnati, Ohio. We’re delighted to announce the details of a Tech Writing 101 workshop as part of the Write the Docs Australia 2018 conference! Greetings, fellow documentarians! The Prague conference is less than three months away, and we can’t wait to see you all soon! Here are the latest updates from the conference team to help you prepare. Welcome to the official kick-off of Write the Docs Australia 2018! It’s shaping up to be another wonderful year full of great conversations and interesting talks. Welcome to Write the Docs Portland 2018! 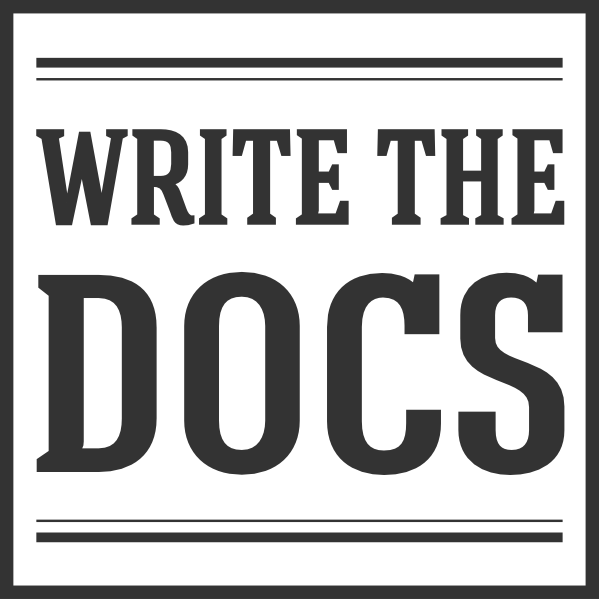 Yet another edition of Write the Docs is very nearly upon us! We’re excited to see you all soon. Write the Docs is almost here. As usual, we’ll kick things off with the writing day on Sunday, May 6. Join hundreds of other documentarians at the Crystal Ballroom from 9am to 5pm to write your own docs, join another project, or just hang out. After spending the day writing, stay for the welcome reception starting at 5pm. A big thank you to all attending our first Australian Write the Docs Day in Melbourne. We are extremely grateful to our sponsors, volunteers, speakers and attendees. We loved the time, effort and passion put in by everyone for this event. Our website is now updated with the final schedule for the talks, so you can start planning your time at the event. Check out the Sessions page for full descriptions of the talks. We’re excited to share with you the lineup for the 2017 Australian day event. Needless to say, the selection process was intense, as we had fewer than 6 slots for talks and many more awesome proposals than we can fit into the program. The conference is now just under two months away, and we hope you’re getting geared up for an exciting (and our first ever Down Under) Write the Docs experience in Melbourne, Australia. We hope everyone is sufficiently excited for the conference, which is now just about two weeks away! Our website is now updated with the final schedule for the talks, so you can start planning your time at the conference. Check out the Sessions page for full descriptions of the talks. The conference is now just under two months away, and we hope you’re getting geared up for an exciting Write the Docs experience in beautiful Prague, Czech Republic. We’re excited to share with you the lineup for the 2017 Prague conference. Needless to say, the selection process was intense, as we had fewer than 20 slots for talks and many more awesome proposals than we can fit into the program. The fifth (!!!) edition of our conference is finally here! We’re excited to see you all soon. Our Portland conference is just two weeks away and we hope you’re getting excited! We’re all pretty excited about Write the Docs Portland 2017, which means it is an excellent time to announce the call for proposals for Write the Docs Prague 2017, which is a little under five months away! As a part of our presentations and speakers announcement we included information about two workshops. We’re excited to share with you the lineup for the 2017 Portland conference. This year we received over 100 proposals. Needless to say, the selection process was intense, as we had fewer than 20 slots for talks. We’re happy to officially announce Write the Docs Prague 2017! It’s shaping up to be another wonderful year full of great conversations and interesting talks. Greetings documentarians! As you know, Write the Docs is an incredibly diverse, friendly, and inclusive community. We continually encourage and support safe spaces in our events and online platforms. Write the Docs Portland 2017 is a little over four months away! We hope you’re getting excited – we certainly are! It’s shaping up to be another wonderful year full of great conversations and interesting talks.